Today was the last day of term, and I am so excited!!!!! Tomorrow, I'm going to write a blog post about Positivity Week, an initiative I planned as Year Level Leader. 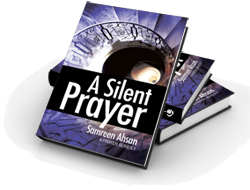 Set in the captivating city of Toronto, 'A Silent Prayer' revolves around Adam Gibson - the millionaire with the selfless soul, but atheist beliefs - and Rania Ahmed - hypnotically beautiful woman with a haunted past, but forever faithful in God. Alternating between both of their perspectives, Adam and Rania embark on a journey of love and faith. Rania casts a spell unknowingly on Adam, who has only ever been with girls physically. He discovers his love for her, as he begins to face his inner problems and discover the benefits of religion. But, as they grow closer and closer, many unexpected, and unexplainable events occur that threaten to drive them apart. He must persuade her to trust him with some of her darkest secrets. In this contemporary spiritual romance, an atheist and a tormented woman set upon a path to enlightenment and love, and may be able to save each other from their demons. Since this book is geared towards adults, I was apprehensive towards reading it. But, I am glad I did. I've never been into pure romance books, however this was definitely an exception. Told from dual perspectives, it gave me a sense of the full story, and I wasn't just stuck with hearing a girl go on about being crazy about a boy, or vice-versa. In fact, Samreen creates this fantastic image in my head, that I can't help fall in love with the characters, while they fall in love with each other. There were moments in the book where I felt like it felt a little dragged-out, but overall this book was somewhat flawlessly written. 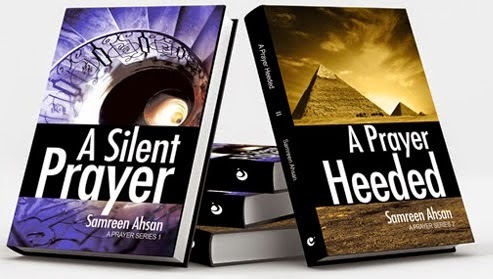 It is very difficult for some female authors to write from a man in love, and for male authors to write like they are a woman in love, but Samreen does both these things so effortlessly, which is basically the icing on the cake. What makes this novel such a nice read, is the fact that it isn't just about love. I'm not sure if I'm the only one but I can sometimes get sick of reading a story where all they do is kiss and say "I love you so much baby", so it was really exciting to read a romance story that was also about faith, enlightenment, destroying inner demons, facing your past, religion and many more important themes. This made it really interesting as the characters developed and we found out more about their back stories, and how they deal with them in the present. The two main characters, Adam and Rania, are incredible. So magnificently created and explored, I felt like I personally knew them by the end of the book. Rania is so interesting as she talks about her love and faithfulness towards God, and as we hear about her nightmares, and that weird experience in the first chapter (which I need to know more about!!!). Adam is such a sweet and romantic guy, he is honestly the nicest millionaire I've ever read about, although I think he is ABSOLUTE LUNATIC at the moment (the end of the book is such a cliffhanger - I nearly cried). To sum up, this book is great. Intriguing, stirring and emotional[y-charged, Samreen does an excellent job at hooking the reader, and leaving them wanting more.